The ARSV Laurence M. Gould is a major research platform for ocean and climate studies. It is also the principal supply vessel for the U. S. Antarctic Program research station at Palmer Station, Antarctica. It routinely travels from Punta Arenas, Chile to the Antarctic Peninsula region, crossing the Drake Passage 2 to 4 times per month. While the ship is underway, one or more hull-mounted Acoustic Doppler Current Profilers (ADCPs) measure the velocity of the upper-ocean currents below the ship. The NB150 measures the upper 300 m of the water column with 8 m vertical resolution. The OS38, added in late 2004, increases the range of current profiling to 1000 m depth, with a vertical resolution of 24 m.
Click on the desired year in the table below for a list of all cruises for that year, with links to vector and contour plots. 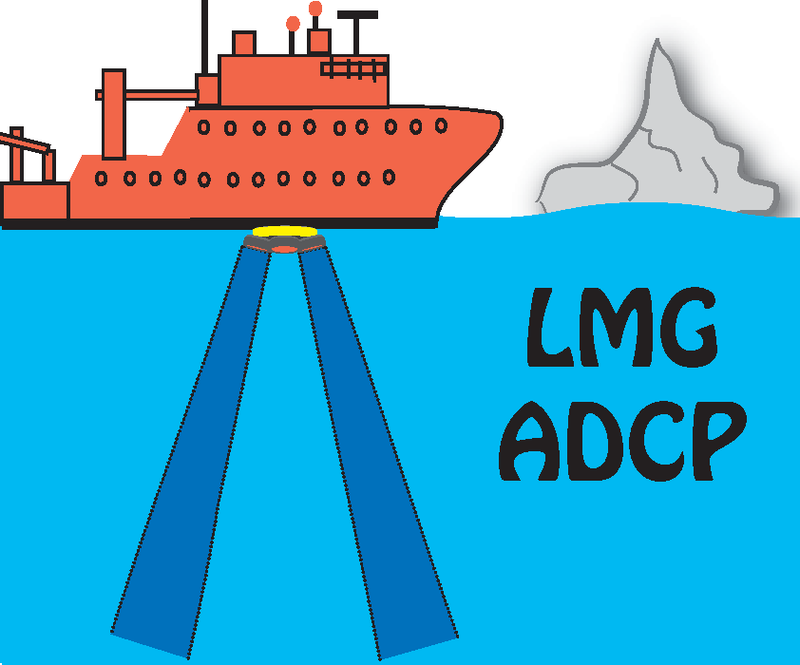 The complete processed and edited data sets are archived at the National Oceanographic Data Center (NODC) Joint Archive for Shipboard ADCP (JASADCP). The complete data set is easily located in the JASADCP inventory under the ship name, LM Gould, or follow the individual links provided for each of the cruises listed by the appropriate year. The collection, processing and dissemination of these data was carried out by the Chereskin Lab at Scripps Institution of Oceanography, UCSD with support from the National Science Foundation Office of Polar Programs grant nos. OPP-9816226, ANT-0338103, ANT-0838750, PLR-1341431 and PLR-1542902. Eric Firing and Jules Hummon at the University of Hawaii provide critical support for the data acquisition and processing of these ADCP data through the development and maintenance of the UHDAS and CODAS software.